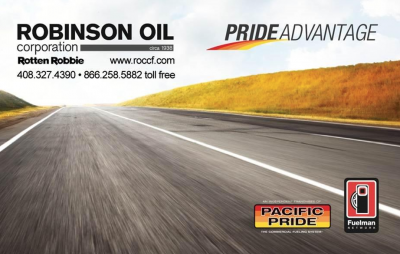 If your business demands fleet fueling, demand Robinson Oil Corporation. Since 1938, we have been helping fleets design and implement fuel purchasing policies and management systems designed to lower the total cost of fueling. We provide fuel management solutions for small to large business fleets, over-the-road transportation companies, and government agencies. Robinson Oil Corporation has been a prime innovator in the petroleum industry for 80 years. ROC’s Commercial Fueling program offers fleet customers specific features designed to help manage and reduce fleet fueling expenses. The three “C’s” of the commercial fueling business are Convenience, Control and Customer Service. Robinson Oil is proud to offer nationwide and local fueling services with all three in mind. We offer our commercial customers what they need: easy access to convenient fueling locations with controlled, secure fuel sources. We even throw in a fourth C – Competitive Pricing. Whether you’re a fleet of one or 20,000, Robinson Oil Corporation is dedicated to meeting your fueling needs.